Fully matured Gouda cheese has a maturation period of 7 to 8 months. Over this period the cheese develops a nice piquant flavour without losing its natural creaminess. Especially for the cheese lover who likes something more robust on his lunch sandwich fully matured cheese is highly recommended. 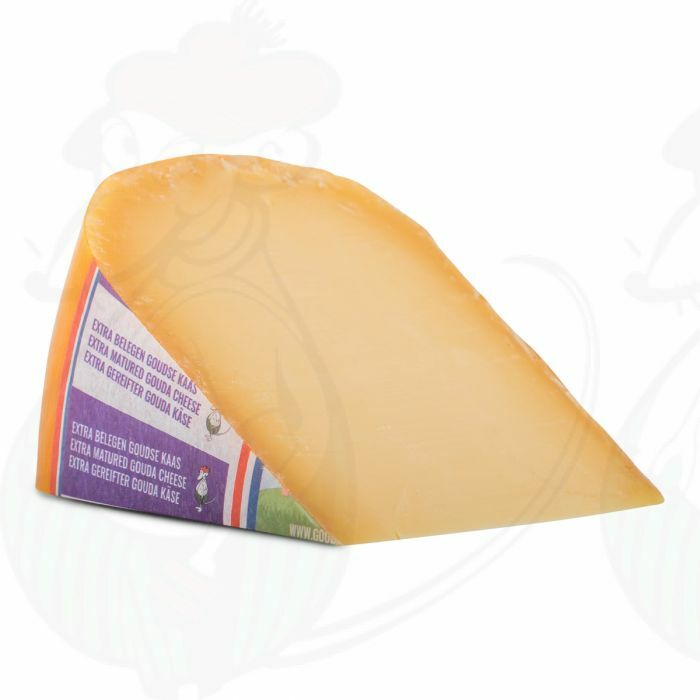 Our fully matured Gouda cheese is a cheese of the very highest quality. Fully matured Gouda cheese has a maturation period of 7 to 8 months. Over this period the cheese develops a nice piquant flavour without losing its natural creaminess. Especially for the cheese lover who likes something more robust on his lunch sandwich fully matured cheese is highly recommended. Our fully matured Gouda cheese is a cheese of the very highest quality. Moreover, it is not only delicious as sandwich filling or as a snack, it is also good for your health. Gouda cheese is one of the most popular cheeses in the world. Unfortunately, the name Gouda cheese is not protected, so the term is not restricted to cheese from Dutch origin alone. However, when a cheese is labelled 'Gouda Holland', this is the original Dutch Gouda cheese. Of course, this is also the cheese we sell in our shop. We have Gouda cheese on offer of different maturation, ranging from young cheese (matured 4 weeks) to very old cheese (aged 3 or 4 years).